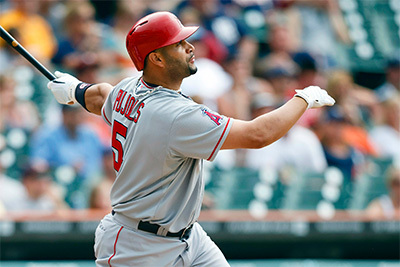 Albert Pujols claims to pay little attention to his climb up baseball's career homers list, often greeting his milestones with a dismissive shrug. "I leave that to (reporters), so you guys can have something to do," he said Monday night. Even Pujols had to acknowledge his latest leap up the standings was impressive, particularly because it led to a win for the Los Angeles Angels.